I thought this was too good not to repost. from chubbic "Falling Into God"
We try to put the wind in boxes, and bottle sunlight. We tame religion, we tame everything. Having Social Justice Sundays, or singing peppy hymns about how “we are the people against oppression” (in our designer jeans or tailored suits) don’t really fix it either. The Marxists were right: do-gooder feel-gooder half measures aren’t enough. We need revolution, violent struggle, we need war. But the Marxists were wrong about the battlefield. The battlefield is not in the streets or even in the senate. It is in the heart of each and every man. Did you know that secret? The awful thing is that beauty is mysterious as well as terrible. God and the devil are fighting there and the battlefield is the heart of man. Person by person, each “small” action we make in life and love, it matters. We are children in the sorcerer’s chamber, stumbling across magic way over our heads. We are magic —we’ve all got the zombie virus and the breath of God within ourselves, and everything hangs in the balance. There is a war raging in the heavens. Love God, love your neighbor, love yourself. Live a holy life. Your body is a sacred magic: honour all human flesh. Keep your word, kiss the earth, get back up every time you fall down, trust the universe like a child. Keep your heart open, treasure everyone. 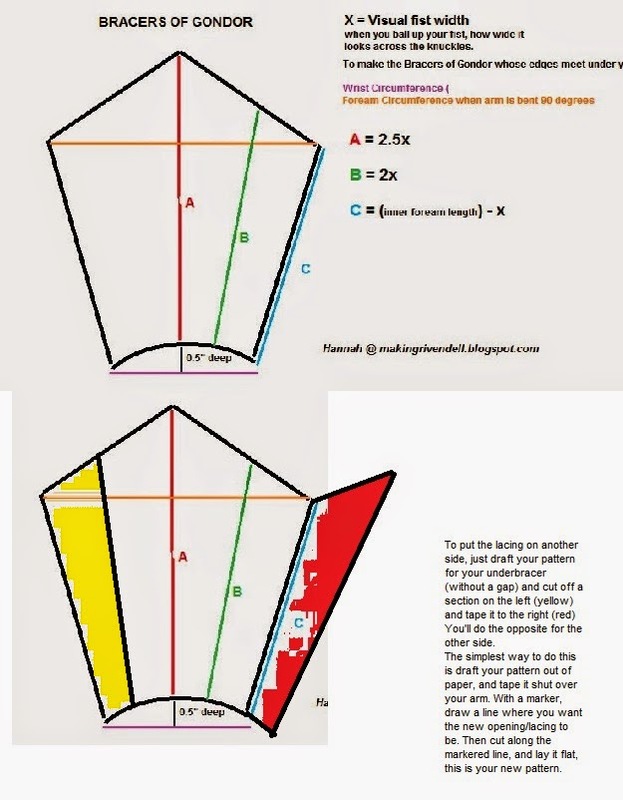 If you want to make a bracer, but want the lacing to be on the side, instead of the bottom, follow the original directions, and draft your pattern, and cut it out out of paper. Then tape it shut over your arm. With a marker, draw a line where you want the new opening/lacing to be. Then cut along the markered line, and lay it flat, this is your new pattern. 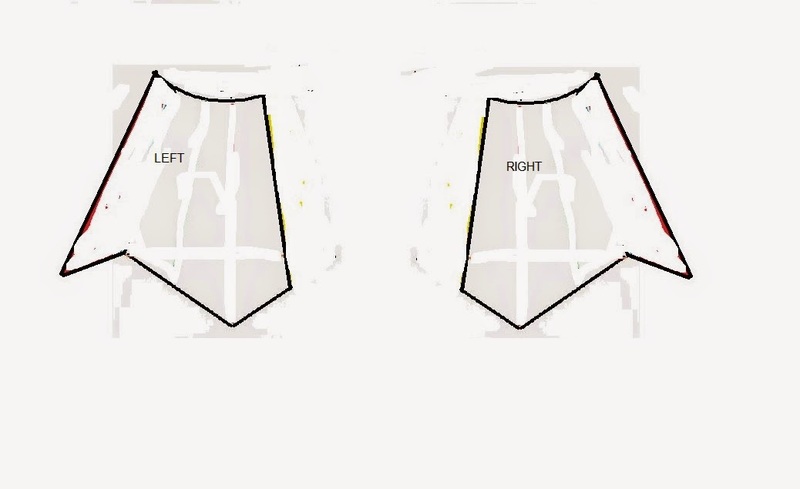 Remember that the left and right sides are the mirrored versions of eachother (you'll just have to flip the pattern when cutting out the other side). 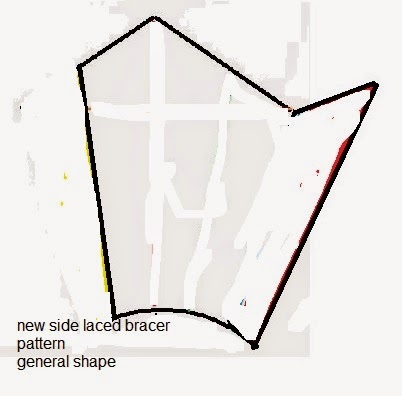 Remember this when you are sewing them together, as when they are sidelaced, there will be a right bracer, and a left bracer.